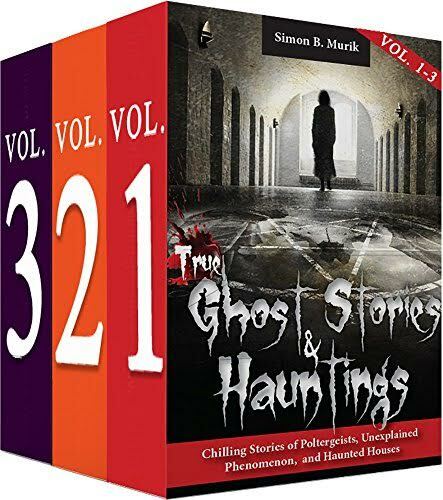 True Ghost Stories and Hauntings (Boxed Set, Books 1-3) is the collection of the popular series of books featuring true ghost stories and hauntings collected, reviewed, and edited by Simon B. Murik. Simon is the son of a long line of mediums and sensitives originally from Eastern Europe. Many of the stories come from his own experiences while others have been contributed by family members and those who have shared their paranormal experiences with him. 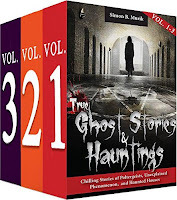 Included are 36 stories which makes this Boxed Set of ghost stories an incredible value and FREE today! If you enjoy ghost stories and reading about paranormal experiences, you will love this book.